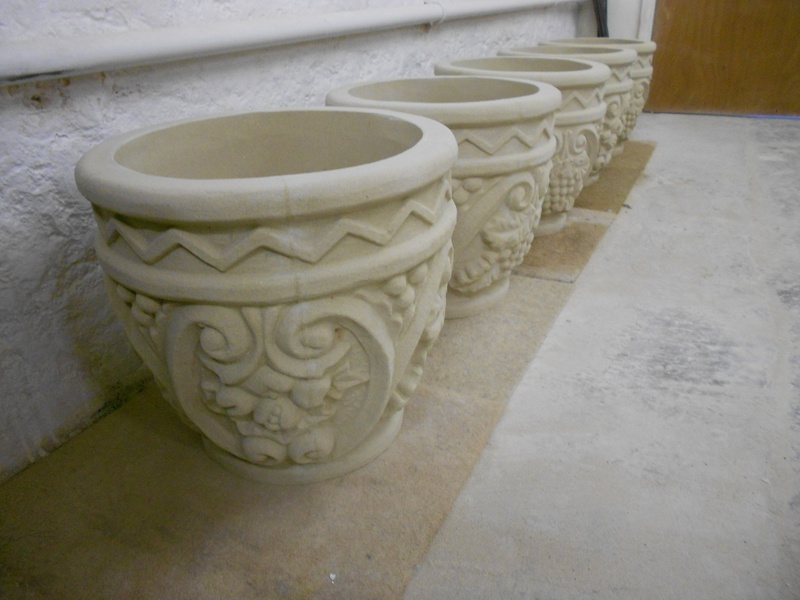 Stone Planters For Sale in Somerset. Over the past forty years or so the main place to find garden stoneware / dry-cast stone garden ornaments, has been in garden centres. In fact the whole stone industry expanded substantially due to the success of garden centres and their appeal to the public. Many stone companies were set up purely to supply garden centres. The popularity of stoneware was at an all-time high for many years, due to this successful method of marketing. Although there have been ups and downs over the years, it must have seemed at the time that this success would last for ever. In the nineties much more competition to stoneware started to appear in the marketplace and more importantly at very competitive prices. It was clear that stoneware was starting to lose some of its appeal. 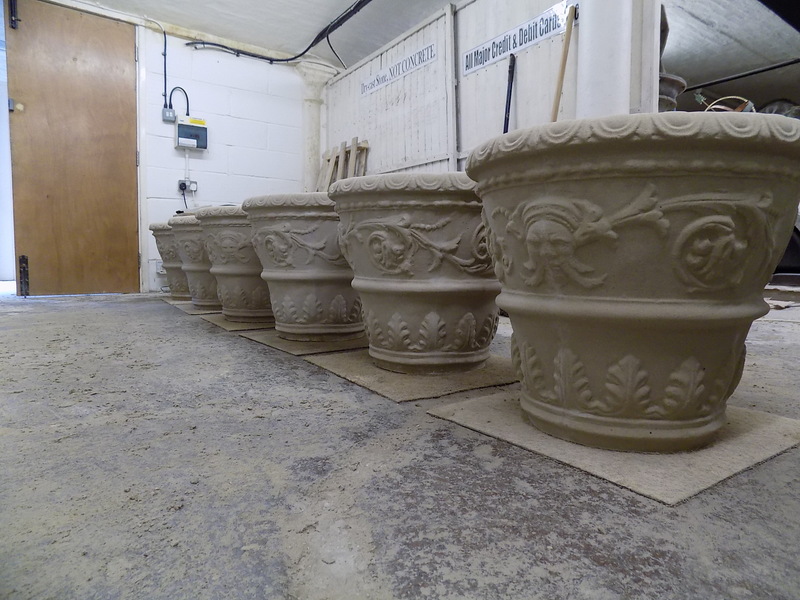 The competition came in the form of different types of garden planters; terracotta planters, oak barrel planters, lead planters and more recently glazed plant pots. A lot of these products have been around for many years, but not in the large quantities they are today. One of the points that many customers seemed to have forgotten was that very few garden products last as well as stone in a British winter. The words frost proof had been replaced with the words frost resistant, which doesn’t mean much in a particularly hard winter. 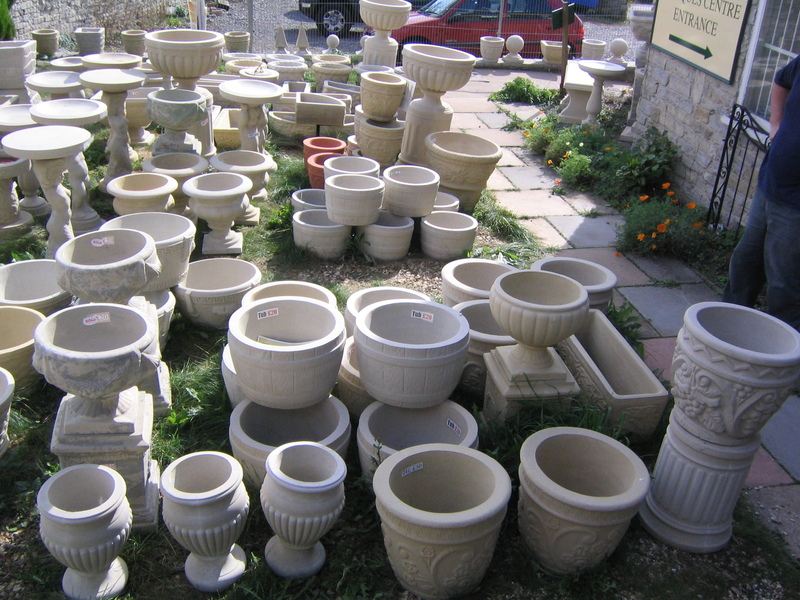 Many of the stone companies from twenty or thirty years ago are now gone, just when people are starting to turn back to garden stoneware, having become frustrated with the need to replace alternative garden planters every few years if the weather has turned too cold for them. One of the comments from new customers is “I didn’t know that you could still get cast garden stoneware”. The answer is, you can, but a lot less companies are making dry-cast garden stoneware now, many companies have turned to producing concrete garden products instead of dry-cast sand-stone due to the simpler production methods that are required to make concrete products. 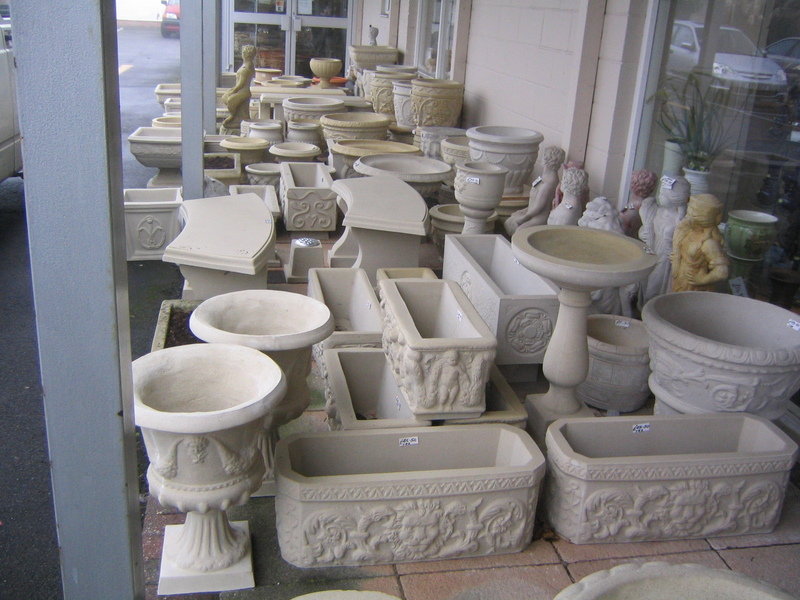 Concrete planters, bird baths etc. never seem to have that same classic look that dry-cast stone has. Plus you can always tell if something is made of concrete by the air bubbles that are left in it, generally underneath the item. Dry-cast sand-stone does not have this problem because of the way that it is made. 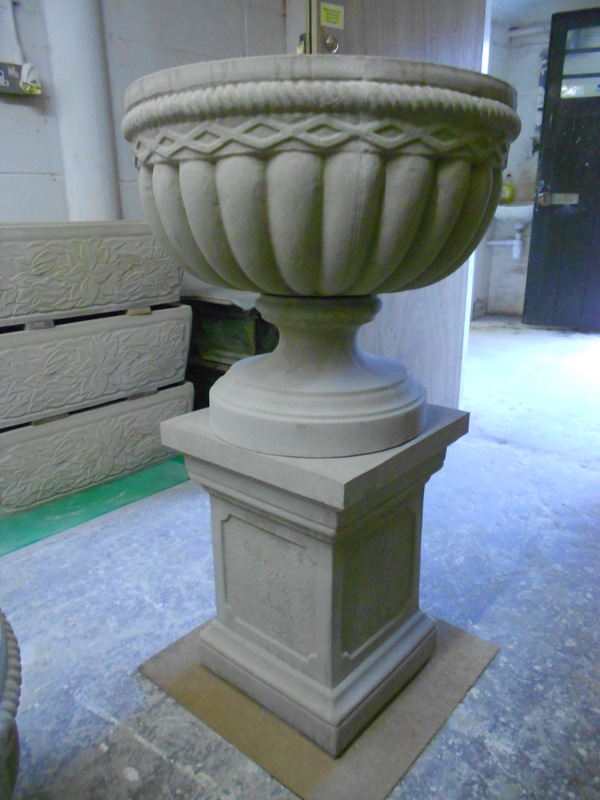 Although Shepton Classic Stone has supplied quite a few garden centres in Somerset and the South West with dry-cast garden stoneware / stone planters, bird baths etc. due to the pricing methods that seem to be the norm in garden centres, i.e. 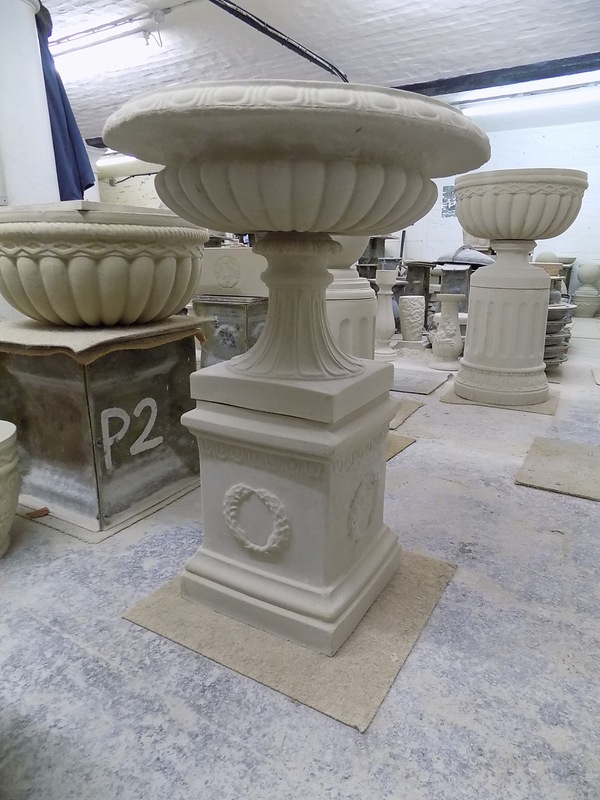 high mark up / high prices, Shepton Classic Stone has always preferred to sell direct to the public, thereby selling cast-stone garden products at more realistic prices. 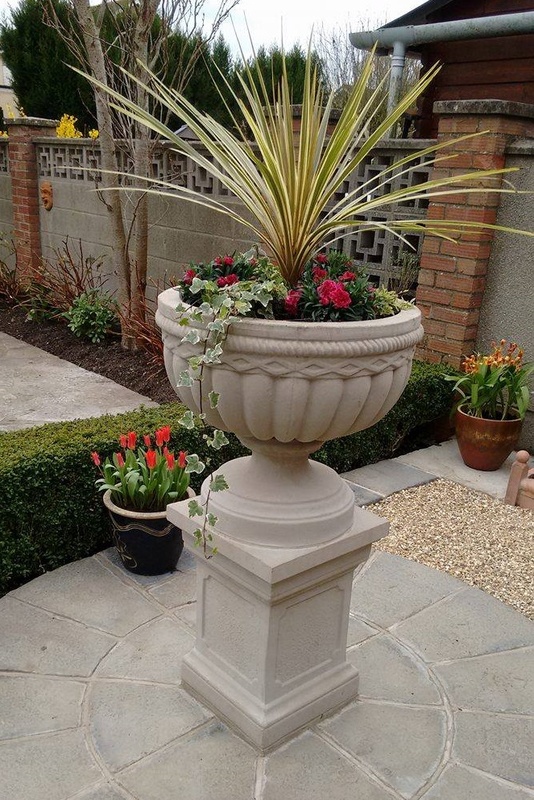 Shepton Classic Stone has always prided itself in selling good quality ornamental garden stoneware at good prices. COMPARE OUR PRICES OF DRY-CAST GARDEN STONEWARE WITH OTHER PRODUCERS.